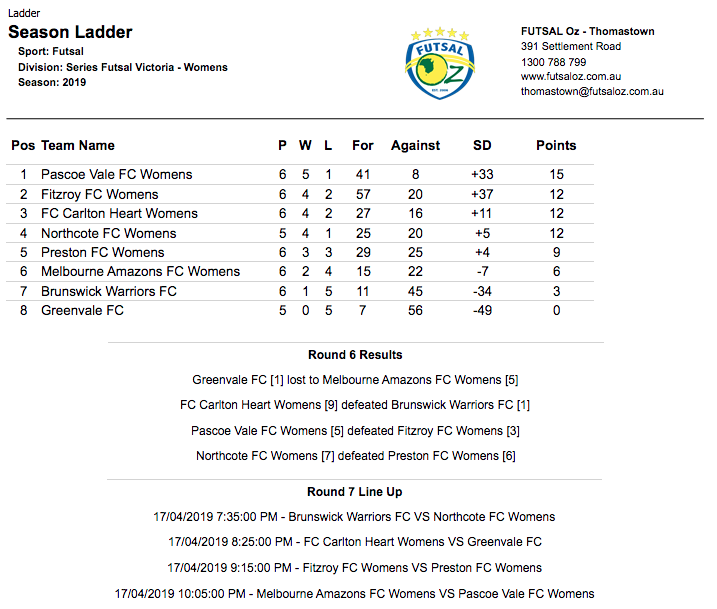 Our opening game of the round saw Greenvale take on Melbourne Amazons in what would promise to be a tight contest. It was Greenvale who opened the scoring very early on through Sarah Chamma as she gave her side a dream start. Amazons began to claw their way back into the contest and managed to get a half time lead thanks to goals form Louisa Verrati & Aish Imran having their side ahead at the break. The second half saw the Amazons steady the ship and seal the game with a commanding display as goals from Bianca Lee, Deidre Buggraf & a second to Louisa Verrati helped the Amazons to an important win, while Greenvale are still in search of their first win of the season. Next up saw Carlton take on Brunswick Warriors as both sides were chasing elusive points. The first half saw Carlton build a commanding 4-1 lead, thanks to a brace from Nicole Ritchie and singles to Claudia Johns & Savanna Anastasopoulos had the Heart in control. 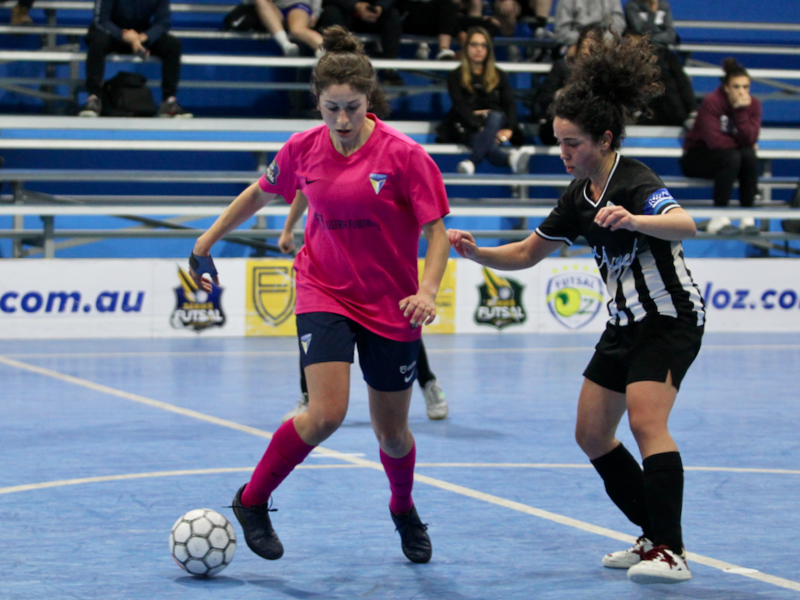 The second half was one way traffic for Carlton as they added a further five goals to no reply, with Ana Carolina bagging four of them herself in a top performance, while Anastasopoulos got herself a second as Carlton get themselves another important win. 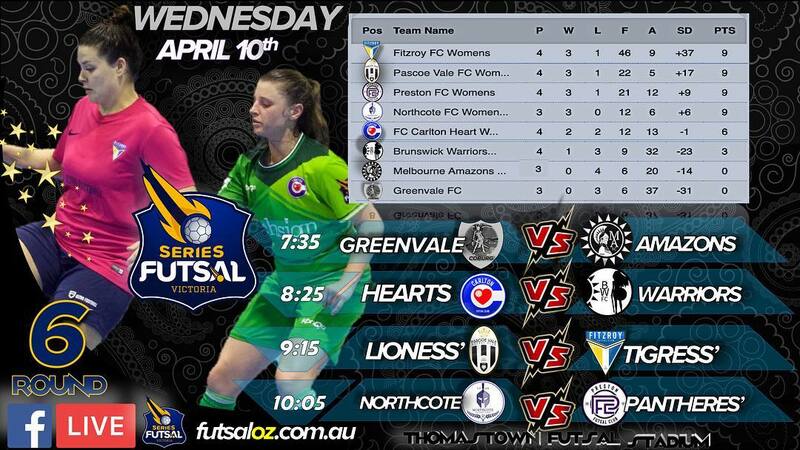 Next up saw Pascoe Vale take on Fitzroy in a top of the table clash. With the winner to take top spot, it was Pascoe who got off the better start when Anita Caro struck from the top of the area to give her side the lead. 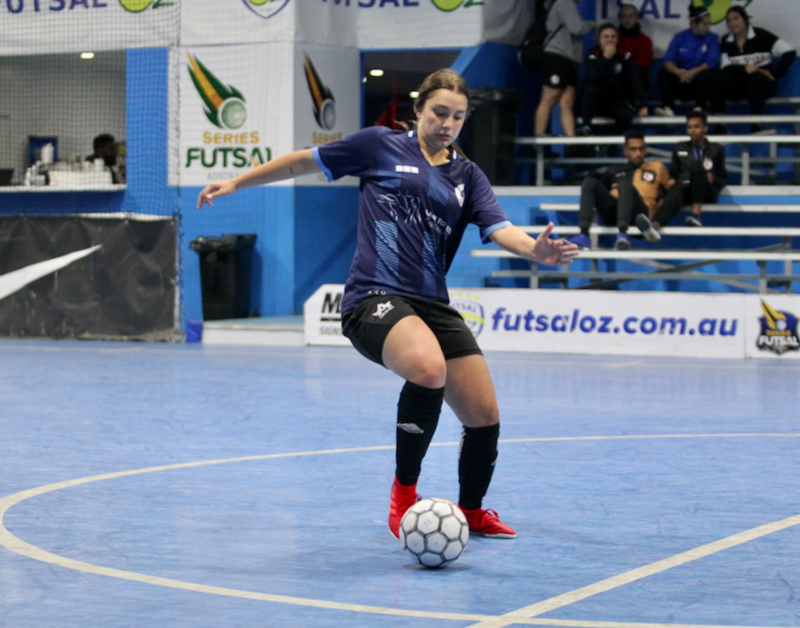 Fitzroy hit back through Alexandra Gummer as her shot from distance found its way in to level proceedings, but just before the break, the Lioness’ got themselves ahead once again when Bruna Silva tapped home at the back post for a slender lead at the break. Pascoe extended their lead in the second half when Silva struck for a second time to have her side two up. 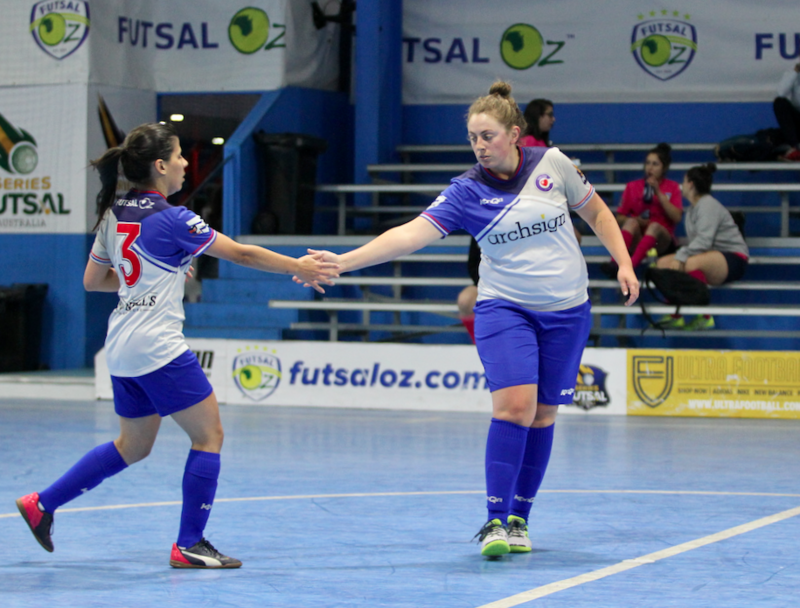 Beatriz Gonzalez made it a three goal advantage to Pascoe, before Liesl Woods struck as the scoreline began to blowout. 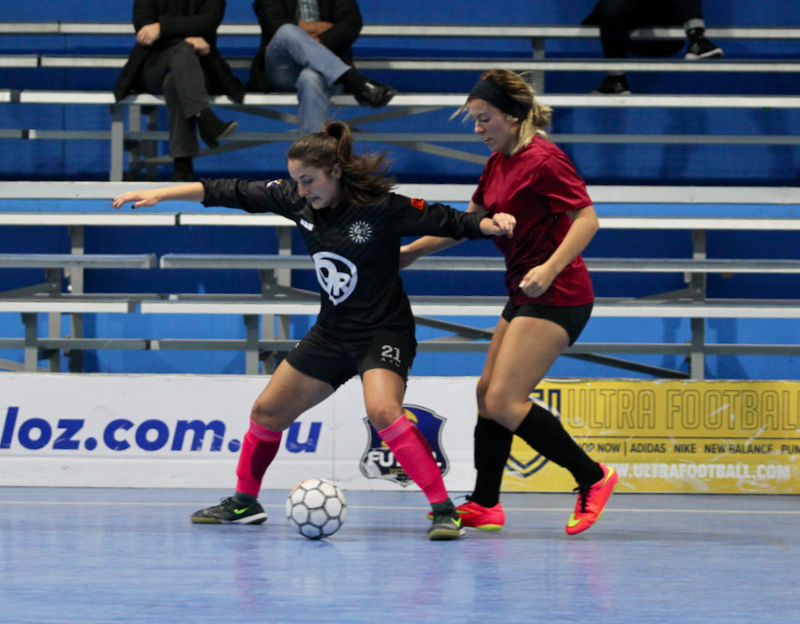 Fitzroy got a goal back through a thunderbolt from Ebru Efe, before a late goal to Em Coppock added some consolation to the result, but Pascoe would take home the three points as they go clear at the top of the table. The final game of the night saw a clash with a bit of feeling as Northcote took on Preston. In what was a shock start, Preston took the lead through Bousra El Khatib who tapped home at the back post. Northcote turned the tide of the contest and bagged the next three goals through a Mary Hubeek brace & a single to Monica Fonua opening up a two goal cushion. Before the break, El Khatib pulled a goal back for her second of the contest to keep Preston in the game at the break. Early in the second half, Preston were level again as Sidney Allen pounced on a mistake and converted to level the game at three. Preston then took the lead when Elly Torre picked out the top corner, but Northcote hit straight back through Hubeek who completed her hat trick and brought her side level again. Nat Italiano turned well as a target and finished for a 5-4 lead to Preston, but again Northcote had an answer with Tayla Mure toe poking home, and Northcote were level, and soon after Monica Fonua’s second of the game had Northcote level. Some good work late on from Sidney Allen teed up Italiano to send the game to penalties where Preston would fall just short as they missed two spot kicks to hand Northcote a hard fought win.